I use a paper towel under my glass of water to collect the condensation. The other night a baby gecko decided that was a good way to get a cool drink. 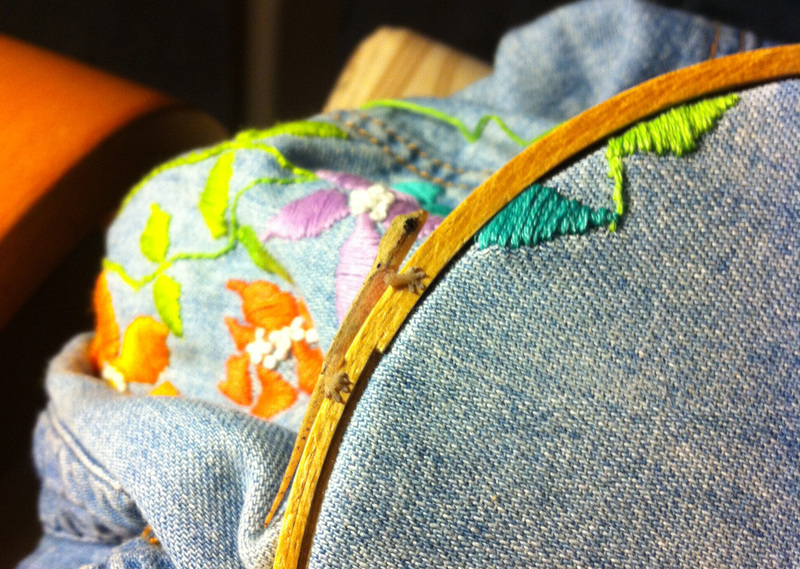 I have a couple of them that come every evening to help me with my embroidery. Actually I think they come for the little gnats that hover around my task lamp.